Tibet Archives - Blue Mountain Travels and Tours (P.) Ltd. Lying in the rain shadow, behind the great wall of the Himalayas is the vast expanse of the Tibetan plateau, the roof of the world. Much of the country is a spectacular arid desert, stretching thousands of kilometres into central Asia. 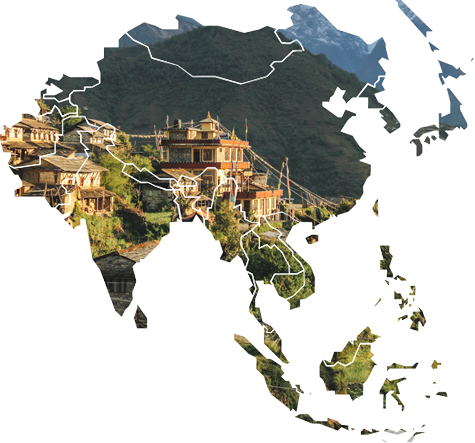 This is a land of wide-open spaces, ancient cultures and mystical Buddhist tradition. Tibet, the very name evokes feelings of awe and mystery. A land of ancient culture, awesome landscapes, artistic monasteries and centuries-old caravan trails. Tibet is a destination out of the ordinary. For centuries Tibet has fascinated mankind. This land beyond the mighty Himalayas on the highest plateau in the world was almost inaccessible to the outside world until recently. This the "Land of Mysteries", "Forbidden Land" has appealed to explorers, scholars, pilgrims and adventurers hoping to find a "Shangri La".